The most common and most popular of all Morning Glories, and for good reason! 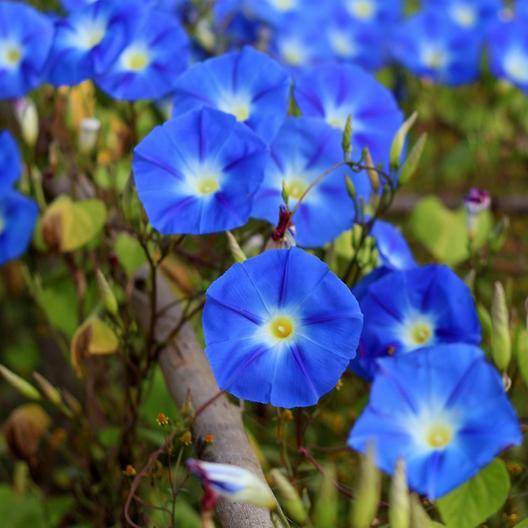 Heavenly Blue is easy to grow, perennial or annual depending on your region, and blooms throughout the summer with tons of big, blue flowers with bright white centers. Its not often you find true, natural blue flowers and this one is a classic! Perfect for trellises or fences, Morning Glories are natural climbers that will climb anything in their path if not directed.